VANCOUVER -- The first year Clint James worked as a teacher in northern Ontario, a student asked him in October whether he was coming back after Christmas. It's a sadly familiar question for educators in remote communities. A decade later, James leaves personal items in the classroom over the holidays to let the kids know he isn't leaving them. "The kids see teachers come and go so often," he said. "A lot of times kids are afraid. They need that constant presence in their lives that they sometimes don't have." 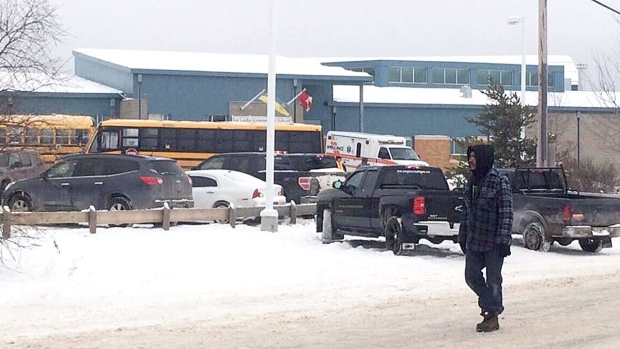 As La Loche, Sask., mourns the loss of two teenage brothers and two educators in a shooting allegedly carried out by a young man, community leaders have raised the alarm about a chronic lack of resources for youth. One way to improve the lives of young people in remote areas is to address a shortage of devoted teachers who will stay for more than a few months, advocates say. And though there are challenges, many in the education system speak of the incredible rewards of teaching in the North. James spent 10 years in Sachigo Lake, Ont., and now works in Kitchenuhmaykoosib Inninuwug, also known as Big Trout Lake, Ont. He applied through Teach for Canada, a non-profit group that works with remote Ontario First Nations to recruit, prepare and retain teachers. He said teachers coming to indigenous communities from elsewhere in Canada should arrive with an understanding of the culture and a readiness to work with the chief and council. "We're not here to be saviours. We're not here to save the children. We're here to work with the community," he said. "We do our best to help communities achieve their goals." Lyn Blackburde, principal and education director for Pegamigaabo School in Big Grassy River First Nation in southwest Ontario, said under-funding by the federal government means her community can't afford to hire very experienced teachers. Sometimes young teachers come to work at remote schools for a short time and leave once they've gained the experience they need, she said, adding that she believes some have come just to take advantage of the travel allowance offered by her band. "Some of them don't even stay for six months," she said. "You'll have a year of children waiting and waiting to see if they can trust you, waiting to see if they want to invest their heart and soul into anything that you have to say or tell them, because they know that you're going to be gone." Blackburde, who is Anishinaabe, estimates her school receives about one-third of the funding that provincial public schools get. The under-funding also means her band struggles at times to find and fix up adequate housing for new teachers, she said. Prime Minister Justin Trudeau promised on the campaign trail to invest $2.6 billion in First Nations education over four years. Indigenous and Northern Affairs Canada said in a statement that the government remains committed to "significant new investments." The Saskatchewan Teachers' Federation said it would challenge the assumption that teachers are in the North because they are unable to secure positions elsewhere. "For many people, teaching in small communities, including those that are remote and northern, is a destination of choice," it said in a statement. Heather Smith, president of the Canadian Teachers' Federation, said there are some great rewards to teaching in the North but there are challenges as well. The challenges include a lack of resources for inexperienced teachers, including mentors or professional development, a shortage of teachers trained to work with special-needs kids, and little separation between one's personal and professional life. A lack of community mental health services means students often turn to teachers if they are suffering abuse at home or feelings of depression, Smith said. "You're carrying all this with you, and that's not what your training is. Your training is to be a teacher."